For many years, Delta seemed like an airline in search of an Asia strategy while its competitors pushed forward definitively. Now that the Korean Air joint venture is in place, however, the combined Delta/Korean efforts looks like an airline on a mission. They have plowed forward, most recently with a new Boston-Seoul flight that Korean will operate. Long having the weakest relationships in Asia, Delta is quickly working toward building the best of the big three, but this isn’t just a story about Delta. It’s also about Korean Air, Incheon’s amazing airport, and Tokyo’s problems. Go back a few years, and Delta’s Asian strategy was basically Northwest’s old strategy. It served markets that it could fly nonstop from the US, but the real strategy focused on connecting people via its Tokyo hub. That proved unsuccessful in a changing world and Delta didn’t wait long before dismantling it. The Tokyo hub shrunk quickly as Delta moved to make Seattle a hub and Asian gateway, but a long-running rift between Delta and its obvious partner Korean Air left the airline without a major Asian option. That gave United and American a real opportunity. United, of course, had the strongest position in Asia. It previously had a Tokyo hub as well, but more importantly, it had San Francisco, the best Asian gateway from the US. The Tokyo hub shrank down to nothing on the back of that San Francisco hub as well as the joint venture with ANA. Why would United need to fly beyond Tokyo when it could use its partner ANA to do the heavy-lifting? American had virtually nothing in Asia, so it decided that it would build up Los Angeles as its gateway. After a close call during a restructuring, American was able to keep Japan Airlines (JAL) as a joint venture partner. I don’t need to rehash all the Godzilla-related issues, but the point is that Tokyo still has a split airport system and that makes it tougher to build and develop new service especially when that new service has to go to the airport that’s falling out of favor. Early on we saw Japan Airlines and ANA build up service into secondary US markets like San Jose, San Diego, and Boston. But they’ve been relatively stagnant since those early days. In the meantime, Delta has done nothing but shrink Narita. Today, the only flying Delta does from there to non-hubs is to Singapore, Manila, and Honolulu. Many of the flights have moved to Haneda, when possible. In other words, it’s not really a hub anymore. At the same time, the Seattle hub has struggled to support all the service Delta wanted there. Most recently, the airline walked away from Seattle to Hong Kong. Delta needed something to fix its Asian issues. It needed Korean. The joint venture between Delta and Korean should have happened long ago, but relations soured under Delta CEO Richard Anderson. As soon as Ed Bastian took over, it was like a switch flipped. Ed had tended to that relationship even during rocky times, and now with Richard gone, the joint venture was a no-brainer. The thaw began two years ago, and the joint venture launched this year. The airlines have not wasted time since then. Delta previously served Incheon via Detroit with Seattle being added in the build-up back in 2014. In June 2017 in anticipation of growing ties, Delta added Atlanta to Incheon to complement Korean’s existing service. The airlines rapidly expanded codesharing to get maximum benefit. This summer, fresh off the opening of its brand new, sparkling Terminal 2 at Incheon, Korean bulked up its schedules into the US where it was already the largest Asian carrier. Dallas/Ft Worth went from four to five weekly flights. Seattle went from five weekly flights to daily service. But this was a just an appetizer for the real growth which begins next summer. Delta announced it would start flying from Minneapolis to Incheon in April of next year while Korean would begin flying from Boston. Why Korean and not Delta? Well, its 787s are the right aircraft to make that work, but it only works with the Delta customer base being onboard. These early moves make a great deal of sense as the two airlines begin to mesh their networks, but will this just be an early push that flattens out like most of the other joint ventures? It doesn’t seem like it should end that way. Incheon’s new Terminal 2 is an incredible facility, and the airport has capacity for growth. That Boston flight will feed into dozens and dozens of destinations beyond Incheon. Meanwhile JAL’s Boston flight has to deal with the declining options at Narita for feed. But what may be most remarkable is that even with this just being a start, Delta/Korean already have a lead. It’s still mind-boggling to me that JAL/American and ANA/United haven’t tried to penetrate more into the US as has been done through partnerships over the Atlantic. But JAL/American still can’t even justify a 787 into the Phoenix hub, and ANA/United haven’t added a new dot in the US from Tokyo since 2013 when San Jose joined the network. (JAL is expected to start Seattle next year, but that’s hardly inspired.) Even though Korean/Delta are years behind in developing their relationships, the others have squandered their leads. These early moves by Delta and Korean are easy fill-in-the-blank efforts. But as time goes on, I imagine we’ll see them get even more creative. 26 Responses to Tokyo Hub? Who Needs a Tokyo Hub? Always a great day when the Godzilla image shows up. Funabashi gets a bad rep because of Godzilla but it’s actually a pretty charming place. Good place to settle down and raise a family but still close enough to the big city. Great write up, Cranky. As I’ve mentioned before, this just speaks to the failure of successive generations of Japanese politicians to come up with a forward-thinking vision for Tokyo aviation. It’s not like the city suffers from a lack of air service, but Incheon’s strength really shows what’s been left on the table in terms of the incremental benefits a superhub can bring. I can only wonder how much easier realizing Abe’s ambitious inbound tourism goals would’ve been had that happened. Side note, part of what that strength in Incheon entails is a very strong market presence in Japan outside Tokyo. With the KE/DL joint venture in place, I wasn’t surprised to see SEA-KIX come back. For a lot of people in Japan’s regions, KE provides the best or at least highly competitive options for longhaul travel. The flight schedule and visa situation may also help Incheon to beat Tokyo. About half of all Tokyo-US flights depart relatively early in the day, that no mainland China-Tokyo connection will work (there is near zero early morning flights from China). This means for many Chinese who may otherwise have the option to book a China-Japan-US route and willing to spend a night in Tokyo, will have the added hassle to obtain a Japan visa (they can technically get a shore pass on arrival instead, but that can be a wild shot pending on the current relationship between the two countries). Meanwhile, connecting through South Korea to/from US is visa free for Chinese if they wish/need to spend some days in South Korea. Based on the more targeted and aggressive stance United has had in many markets the last 12 to 18 months, I don’t think they will stand idly by with the Delta/Korean combination. I suspect their post merger squandering of advantages is over. Plus they have quite a large and growing fleet of 787’s to and nearly 20 brand new 777-300’s to do battle. I agree with you generally re United, but they’re already strong in the Pacific and didn’t cut routes post merger (apart from moving SEA-NRT to DEN and ending the 5th freedoms). Indeed they’ve launched new services, most notably SIN non stop from the US and (back in 2013) restorted SFO-TPE. All of those are covered under the joint venture with ANA. 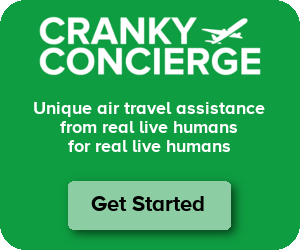 Cranky has a good point that it’s ANA that hasn’t stepped up to the plate and hasn’t gone to competitors’ hubs in the same way Lufthansa has from Europe. Where’s ANA’s NRT-DFW/ATL/DTW/PHL? Aside from SEA (which they had before Delta hubbed), SJC and JFK, all ANA’s US flights are to UA hubs. They’re a bit hamstrung right now with Rolls Royce Dreamliner engine issues, but once they’re addressed it would be good if they provided completion against AA in DFW for a start. Both UAL and ANA have ample 787s which have the CASMs to do nrt or HND to SLC or Raleigh. The 767 can do neither, and thus imaginably united could battle DAL/ke/af/westjet for the westbound Asian destinations that supposedly are picked off by focus cities. An airbus three fifty i would imagine is difficult to fill up aforementioned unless cargo can substitute, iffy since delta curtailed most of its connections. 1. Delta is still the 2nd largest carrier across the Pacific – among both US and all carriers – just as it was when it merged with NW. UA got a 20+ year headstart with its brilliant acquisition of Pan Am’s transpacific assets in 1985. 2. DL and KE, the 3rd largest transpacific carrier, combined form the 2nd largest joint venture behind UA and NH even with the new MSP and BOS to ICN flights. 3. The DL-KE JV still has enormous growth potential while it is hard to know how much more Asia flights UA can add. KE is the largest non-US transpacific carrier and will likely benefit as much if not more from the JV and the new terminal at ICN as DL does. 4. Tokyo, as has been noted, operates with an inefficient split airport system that not only minimizes the potential from Japan hub operations but also has very little natural growth. Japan will continue to see growth of Asia low cost carriers which will harm the economics of operating longhaul connections via Japan where local and connecting traffic are not at the same airports. JL and NH are growing to/from the US but very little of that growth is now benefitting their US partners, AA and UA. 5. While average fares between the US and Japan have fallen dramatically as a result of the joint ventures between AA/JL and UA/NH, DL and UA still carry nearly identical amounts of LOCAL US-Japan traffic but DL carries the most revenue, according to US DOT data. DL also carries the most passengers between the continental US and HND and the highest revenue from the US to HND among US carriers. DL’s belief that HND will attract higher value revenue than NRT has been borne out in practice, validating DL’s belief to shrink NRT as HND access increases. 6. DL is the only US carrier that is consistently profitable flying across the Pacific, also according to US DOT data. Although DL cut back transpacific capacity across the Pacific while restructuring its US-Asia system, much of it was connecting capacity via Japan and destinations beyond NRT; DL’s transpacific system is now in growth mode with capacity being added to Japan, Korea, and China. 7. UA and DL both secured long-term viable positions as a result of their mergers or asset acquisitions while AA has tried to grow its own transpacific system in-house with mixed success. Even with the JL JV, AA has the smallest transpacific system of the US3, loses hundreds of millions of dollars flying to Asia (according to AA execs) and is not profitable flying any Chicago-Asia service despite Chicago being AA’s oldest gateway to Asia. AA remains #3 across the Pacific among US airlines, to/from Japan on its own metal, and to/from China. AA’s acquisition of equity in China Southern has so far delivered limited benefit to AA because of limitations on China Southern’s ability to codeshare outside of Skyteam. I would not say that AA and UA squandered their JV opportunities but that even a JV with Japanese carriers does not overcome the structural problems that the Japan market has and which DL realized years ago. DL has rebuilt its transpacific system around a US-Japan system which it controls but is incorporated in the DL-KE JV, a US-China system which is in partnership with China Eastern and China Southern but outside of any JVs, and a US-ICN system which it operates as part of the JV with KE and which provides access to the rest of Asia outside of Japan and China. DL’s Asia strategy appears to address the problems that limited DL in Asia in the past while giving DL enormous growth potential in a global region where US carriers have never been able to consistently be profitable. you lost all credibility right there, if you think you can actually accurately infer profitability (not just fares or revenue) from DOT data alone. You can chest thump all you want, but we’re talking about a carrier that fails to have ANY service to one of the Top 5 largest investment banking hubs on the planet (only people who don’t know jack about the world would proclaim HKG as a whole has trash yields. Funny enough, the DL chorus were praising HKG right up to the moment of cancellation, then all of a sudden it’s bottom barrel). What I’ve heard from longtime Asia travelers is ICN is an amazing hub, far exceeding NRT or HND. It seems this is a big endorsement of infrastructure. DXB did the same thing but they don’t have near the regional competitors. Seems China is doing it’s best to build amazing airports but time will tell if they can earn megahub status. Another thing with a strong DL/KE partnership is for people in the midwest needing to go to places like DEL or BOM. Literally the opposite side of the planet. I have several friends that fly into Europe and then on to India. That could easily flip to a connection at ICN. I know it ignores winds etc, but ORD-LHR-DEL is 1,300 statute miles less than ORD-ICN-DEL (8,144 vs 9,447). Even Denver is still a bit less via LHR instead of via ICN. That said, I agree with your overall point, and agree that when people are travelling 7,000+ miles, an extra 1,000-1,500 of great circle flying distance often matters far less than schedule, layover airport, and other factors. Delta uses its European partner hub(s) for India flights (AMS, CDG, LHR) and can reach DEL, BOM, BLR and MAA one stop from 15-17 US cities connecting to KLM, Air France, Virgin Atlantic and Jet Airways (with 9W providing onward domestic connections). Delta has also indicated it plans to fly non stop to India from the US. One new problem for DL is the very precarious financial position of Jet Airways. If they were to disappear, or downsize dramatically, that would put a spanner in the India strategy as they use 9W for AMS-BLR and CDG-MAA plus the domestic connections. But I still don’t think that would make them switch India flying to KE. A DL investment in 9W may be the solution (9W’s CEO is ex-Delta). Does Korean Airlines impose evil surcharges? The biggest surprise is how little AA/JAL do with their JV. Four metro areas with AA hubs don’t have service to Japan on their JV. It’s not just Phoenix, but Philadelphia (which has no service to Asia, except for Qatar to the Middle East) and Miami (no service to Asia). If you really wanted to stretch it, you could probably even add DC to it, where JAL doesn’t fly to Dulles (and the AA/United JV goes twice a day). Lots of opportunity, especially at Philly. You forgot PDX-NRT, which is the only remaining non-hub Delta flight to Tokyo from the continental U.S.
although CF didn’t list markets per se, PDX-NRT would have to be considered a non-hub flight. It is unique in the DL network in that, if you don’t consider NRT a hub, PDX-NRT is the lone longhaul route on DL’s network that doesn’t start or end at a DL or partner hub. However, DL still lists Tokyo-Narita as one of its “key hubs and markets” in its press releases, all of which are either DL US hubs or partner/equity carrier hubs in other countries. PDX-NRT does still operate and, again, DL has so far made no move to move it to ICN as part of the joint venture. Although it has lost some connecting traffic, it does have a large local Tokyo market which should be viable regardless of what happens with DL at NRT. If DL gains more service at HND, PDX could well move along with other NRT-US flights. Either way, right now, PDX-NRT is still connected to MNL and SIN via DL online connections plus via SEA and the nonstops to Asia there which puts PDX in a very good place among US cities for service to Asia. I live in Portland and I don’t see PDX-NRT going away any time soon. There’s a lot of point to point business traffic from the hi-tech and sports companies in Oregon. Plus the flight is on a 763 so load factor shouldn’t be a problem. And they can connect pax to MU and CZ for China connections at NRT. Indeed if DL dropped PDX-NRT there’s a distinct possibility that either JL or NH will step into the void, and they can both feed a network beyond Tokyo. Twenty years ago the pre-merger Delta served both Narita and Seoul (Gimpo) from PDX, and I wouldn’t put it beyond them to add a PDX-ICN rather then move the NRT flight. Once again, an insightful article that generates good conversation among your readers. Another consideration to address is DL’s reduction of its NRT hub as well as its growth in China, since the two are intertwined. One of the beyond NRT routes that DL cut was PVG. DL had said for years that it wanted to add more China service from the US but could not. One of those routes DL wanted to add was ATL-PVG which DL has now started but it had to cancel its NRT-PVG service because US carriers are at the limit of flights in the US-China bilateral. With the opening of the new Beijing airport next year, there is likely to be new capacity to add flights to both Beijing airports. However, DL has the current least number of flights, having lost the route case for LAX to PEK to AA which will itself be dropping ORD-PEK shortly. With its China partners, DL is likely to add new service via Beijing Daxing. It is hard to imagine how much more service UA and Air China can add since they have a pretty extensive US-Beijing network already. Neither of DL’s China partners current fly from the US to Beijing. Opening of Beijing to more capacity might also set up the market for joint ventures between Chinese and US carriers. Back in Tokyo, the Japanese government opened HND from the US on a piecemeal basis which has required split Tokyo hub operations for JL and NH. They could eventually throw in a few more HND slots which would disproportionately allow JL and NH to grow their HND operations since there are only 2 Japanese transpacific carriers but at least 3 US carriers that will be vying for more HND access. Since DL has fewer longhaul NRT flights left – including SIN and MNL – than UA, DL can likely shut down its NRT operation in favor of an all-HND operation before UA. It is also worth speculating about the outcome of DL’s MNL and SIN service. DL remains the only US carrier with viable connections from the mainland US to MNL while SQ and UA are battling it out for SIN dominance. DL could 1. drop its own service to both cities in favor of the KE JV but hasn’t yet done so for 2019 which probably says the routes aren’t a huge profit drain and might even be profitable or 2. Switch MNL and SIN eventually to nonstop US service but can hold onto them via NRT for now or 3. Will wait for the Japanese government to open up HND fully to US carriers which will allow all US carrier service to NRT to end but could also give DL 5th freedom routes from HND to MNL and SIN as well as service to all of its hubs that have sustained Tokyo service plus HNL plus the likely restart of JFK to Tokyo. Lots of things still have to shake out with US to Tokyo service but DL appears to be holding its position in the local Japan market and setting itself up for growth in other parts of Asia. Until and unless the US and China sign an open skies treaty, a JV that includes Chinese routes will not be possible. So you make a good point, but it’s not likely to come to fruition in the near term. CF – Nicely done on keeping us up-do-date on the latest moves from the powers that be or wanna be. I am especially pleased with the reminder of Godzilla’s home being where it is. Very interesting and entertaining. Thanks. 1) It seems Delta has a gentler tone when Ed replaced Richard. Richard Anderson really did a great job of transforming Delta, but he really seemed to piss lots of people off. 2) I wonder when SeaTac finished the new CBP facility and allow for more international flights, will Delta expand by more? Delta still seems really interested in building SEA into a trans-pacific hub that can kind of compete with United at SFO (though nothing will be able to beat United at SFO). Like the article but BOS is no longer a second tier American airport. How well is Denver doing for United’s Tokyo flight? Haven’t heard much about it since it launched, it’s always kind of seemed odd that Denver has enough traffic to handle such a flight. What’s more important; market share or profitability? What always puzzles me about these international airline arrangements is the lack of attention that is paid to things like seating assignments and premium economy seating. We can check availability, choose seats, upgrade to economy comfort, etc. on our origination flight to the relevant international hub, but after that such arrangements seem to be generally inaccessible. Haven’t flown DL to ICN, but have been out luck every time we’ve connected from DL to Air France/KLM at CDG or AMS. (AF seems to hold their worst seats for DL passengers). Recently on UA through NRT, we were at least able to choose seats on our ANA leg, which is a step forward, but not able to choose any premium economy option to match that of our UA flight. Maybe the whole premium economy concept is too new for international airlines, but being able to assure that I’m not going to get a terrible seat on my connection would be a real selling point. Any hope that things will improve in the future in this respect?